Modern tread in modern dimensions, the Tanken helps bring IRC back into the descent-oriented MTB mix. 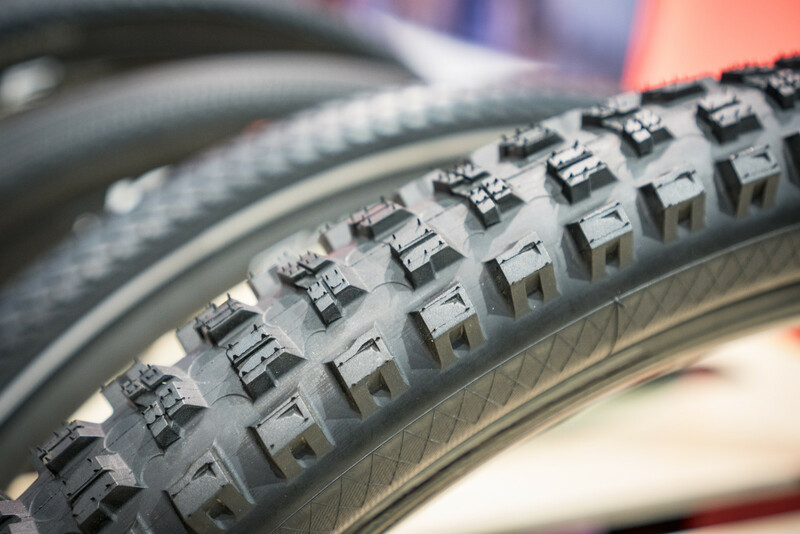 It has been some time since we saw a new trail-worthy tire from IRC, but they debuted a new enduro tread at Interbike ‘18 called the Tanken. “Tanken” means “adventure” in Japanese and these tires are aimed to take you on one. 27.5-inch diameters come in widths of 2.3, 2.6 and 2.8 inches with 29-inch diameter offerings in 2.3 and 2.6-inch widths. An aramid bead, low-rebound rubber and ready-for-tubeless construction make the Tanken a modern-day option. Large shoulder knobs and alternating rows of vertical and horizontal blocks should give great bite on off-camber trails. This is one of the first new gravity treads we can remember from IRC since the Missile models were made famous by Missy Giove and we can’t wait to give these a try. These should be available in November. 31 flavors of Minions now days.